Do you have a large rubbish removal Crayford need which needs to be taken care of? Then don’t think twice about asking us for help! 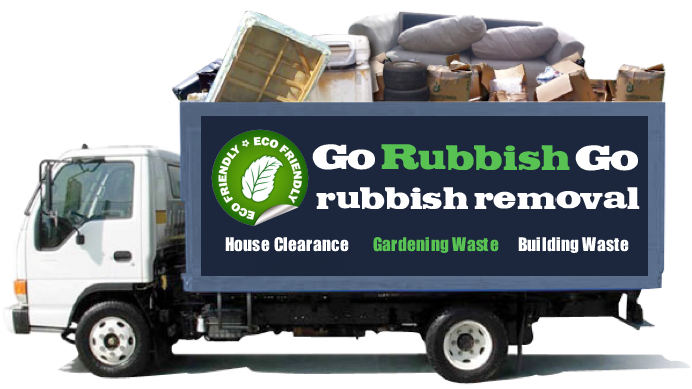 Go Rubbish Go has an excellent range of vehicles and equipment that can manage any waste removal project no matter how big or small. Experienced at clearing houses, flats and office blocks, there is nothing that our workers can’t take care of. So if you want to get professional help with a comprehensive project, get in touch with us for a quote now. We guarantee to manage your household or commercial Crayford waste collection quickly and efficiently and will never let you down! For more information on any of our incredible offers, pick up the phone and dial 020 8610 9182 now! Our customer services team will always be happy to take your call and will always do everything they can to find you the best deal in the DA1 region. With an extensive fleet of vehicles and experienced workers, we can even tend to your needs any day of the week. So if you want to make sure that you get an excellent rubbish removal service at an unforgettably low price, call the local experts before it’s too late! Our team offer a varied range of residential and commercial packages and can help you out with your one-off requests or regular waste disposal in DA1, Crayford. If you’re worried about your carbon footprint then when you hire us there really is no need! We take pride in keeping our recycling levels to a maximum and will always recycle everything that we possibly can. So if you want to make sure that you’re keeping the environment clean, book your rubbish disposal DA1 with our friendly team. With a can-do attitude and a green policy, we can help you do your bit for the community. 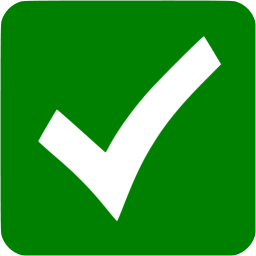 Remember that our team in DA1 will even do the time-consuming bit for you, so there’s no need to worry about separating your waste into different places. Book now on 020 8610 9182 and have peace of mind that you are hiring a green waste removal Crayford, DA1 service! 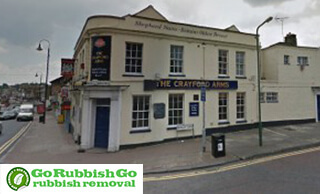 The best service provider in Crayford one could hire for rubbish disposal. I’ve hired them in DA1 many times and have nothing to complain about whatsoever. Great team! We Are the Waste Clearance Specialists! Are you in the process of refurbishing a property? Or do you have a load of old junk which you’re clearing? Either way, our local Crayford rubbish clearance specialists can help! Our team work in and around the DA1 area and are experienced at clearing out all sorts of large and small properties. With the capabilities and equipment to remove everything from books and clothes to builders rubble and white goods, there is nothing that our workers can’t help with. So if you need someone to come and take your household rubbish away, remember to get in touch with your friendly, local team! Hire our waste disposal services to enjoy a rubbish-free property! Our rubbish removal services are also popular with businesses in the DA1 area and can be hired as a regular or one-off package. 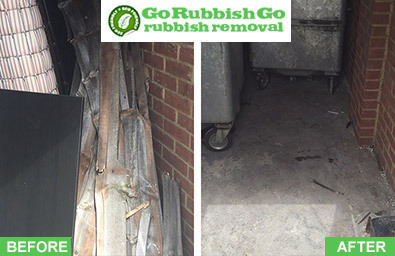 With competitive prices and a dedicated team of experts, Go Rubbish Go can provide you with a reliable and professional DA1 waste clearance service seven days a week. So if you have general office waste or specialist items which you need to dispose of, speak to one of our commercial advisors to see how we can help. Our team have an excellent service record and will always go the extra mile for you and your customers. For more information or to get a personalised quote, take our number down now – 020 8610 9182! What is Crayford Famous For? Crayford is an area found in the London Borough of Bexley in south east London. It is located north of Dartford and east of Bexleyheath and it is around 14 miles away from Charing Cross. The area is well-known for its leisure facilities such as the Crayford Stadium, the “Bear and Ragged Staff” public house, the theatre named in honour of Geoffrey Whitworth, etc. There are lots of famous pubs including “The Charlotte”, “The Duke of Wellington”, “The Crayford Arms” and others which can make your visit much more interesting and pleasant. The area is served by the Crayford station which was opened in 1866.